Just like the rug that sat beneath the piano in Grandma's parlor, our Oriental Garland rug lends a sense of traditional elegance to any room. 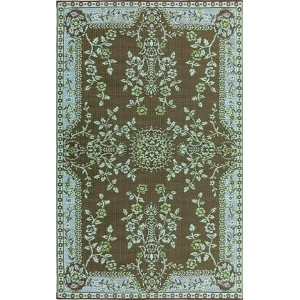 But we have added some fun in our color selection, landing these indoor/ outdoor rugs squarely in the 21st century. And like all Mad Mats, they are carefree and come with a one-year color guarantee.